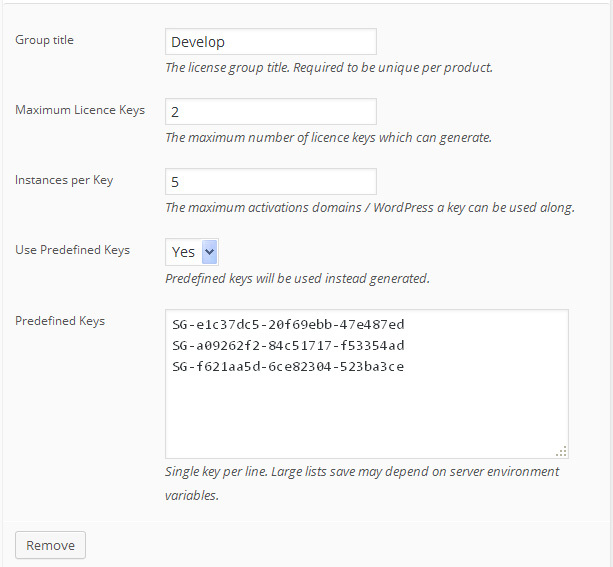 Starting version 1.2 the WooCommerce Software License plugin got a new enhancement, the ability to use existing keys (own admin keys) along the plugin code. If you are a re-seller this become the great tool for selling keys and software. All existing functionality like allowed client keys, instances per key etc, can still apply. Also multiple Licensing groups can be created allowing mix of pre-generated with automated keys to be bundled toughener.